The Wrapped Gift Trap is a Limited Edition Physical type weapon. This carefully-prepared pile of gifts can be dangerous as all heck to any mice that happen to tip it over, but that's not its true purpose! With any luck, you can attract Greedy Al to your trap to receive his gifts, and show him the true spirit of the season! Greedy Al loves his gifts! 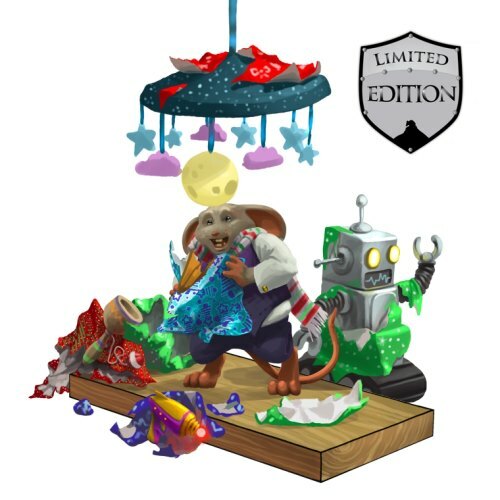 All the cherished memories from his childhood have inspired him to change his ways, and he's decided to hang around and hand out gifts to any mice that visit him on your trap! The power of giving and the Great Winter Hunt empower this trap, supercharging it while the winter hunt continues! The Wrapped Gift Trap is a Limited Edition weapon and can no longer be acquired by Hunters. It could be purchased for 150,000 gold, 100 Ice Coins, and 6 toys built during the event: Moon Mobile, Toy Raygun, Toy Robot, Dragon Mouse Action Figure, Ball and Cup, and Toasty Scarf. It could not be refunded. During the annual Great Winter Hunt, this weapon's stats are boosted to 3,150 Power, 10% Power Bonus, 15% Attraction Bonus and 25 Luck. The Wrapped Gift Trap acquires a 20% Power Bonus when armed with Snowball Charms. 10 December 2012: The Wrapped Gift Trap was introduced, but could not yet be purchased. 21 December 2012: The Wrapped Gift Trap was available to be purchased as the final toy in the toy drive was constructed. 25 December 2012: The Gifting Trap version was introduced. I checked my trap and found that I had gifted a mouse! I surprised a X oz. X Mouse with a gift of cheese and received X points and X gold as a gift in return! The Wrapped Gift Trap/Gifting Trap was the only trap capable of catching Greedy Al in the MegaBuy Mart. Now that I've purchased the Wrapped Gift Trap, all I need to do is wait until the 25th to arm it and then Greedy Al will show up and get his presents! In the meantime, I can keep on collecting Ice Coins! 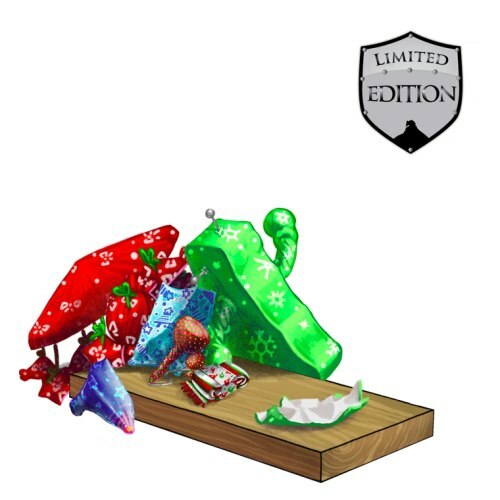 The Gifting Trap provided an additional 2,050 power, 10% power bonus, 20 luck, 5% attraction bonus, and Extremely Fresh cheese effect in all Locations, not just the MegaBuy Mart, but only during the Great Winter Hunt 2012 and Great Winter Hunt 2013 events. After these events ended, the trap reverted to the stats of the Wrapped Gift Trap while keeping only the image of the Gifting Trap. 2 January 2013: The Gifting Trap reverted to the name and stats of the Wrapped Gift Trap at the conclusion of the event. 13 December 2016: The Wrapped Gift Trap gained a 20% power bonus when armed with Snowball Charms.